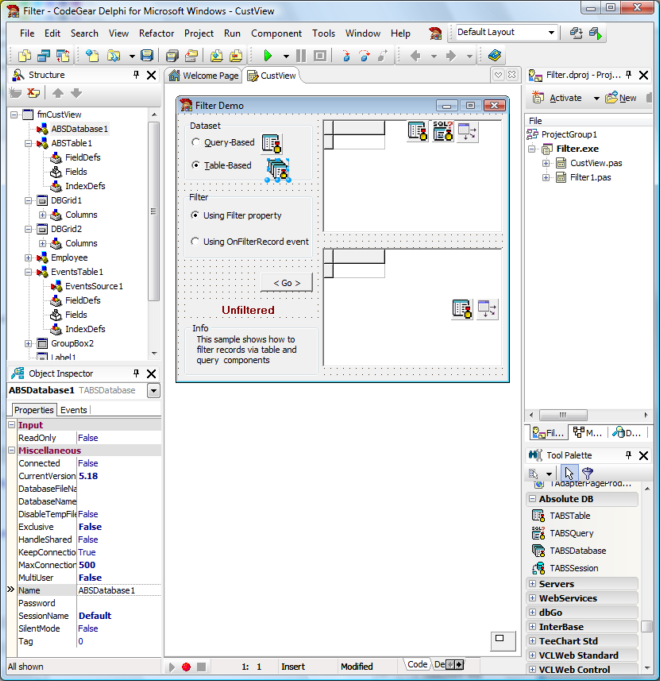 Absolute Database is compatible with all versions of Windows - from 98 to Vista. 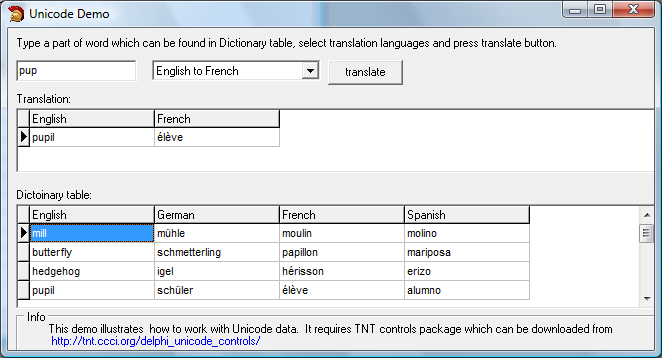 Absolute Database fully supports Unicode data. 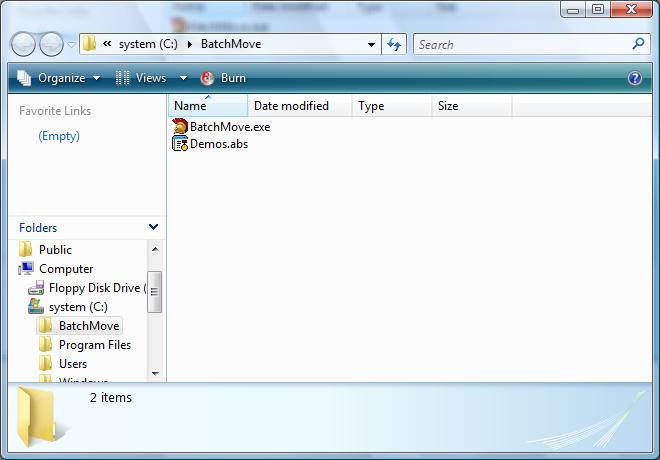 All you need to deploy is the .exe file of your project and a database file. 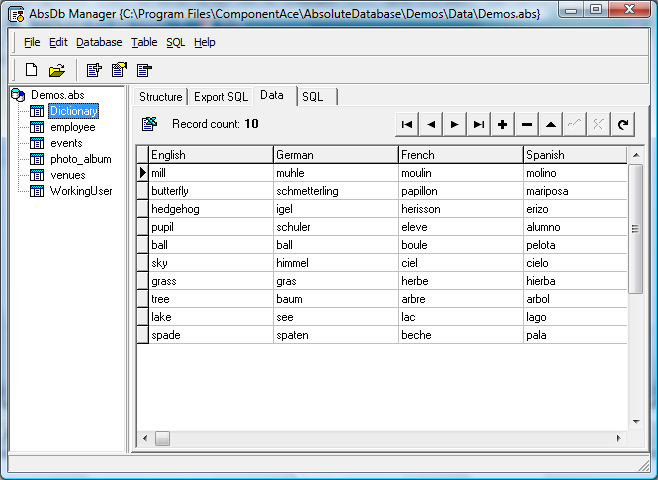 Also you can merge a database and your .exe file. Nothing to install - the database engine is built into your program so you don't need to install any .dlls or other exe files. 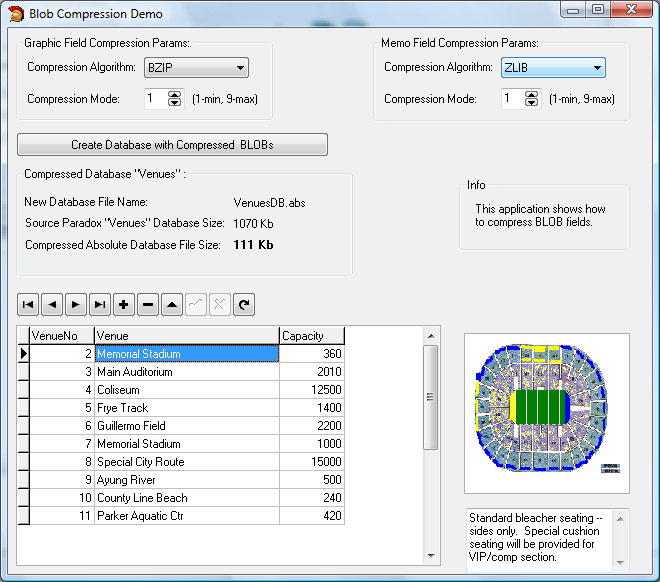 Absolute DB is perfectly suitable for portable applications development which run directly from Flash drive without installation. 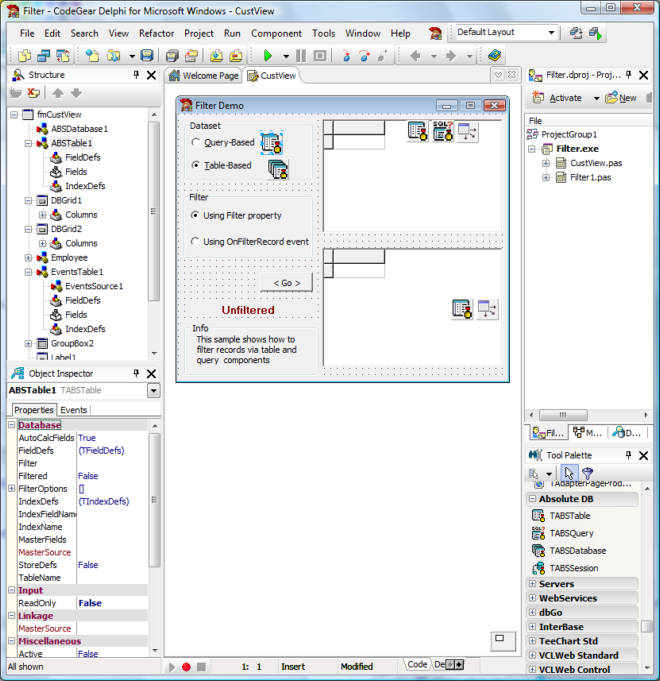 Database Manager lets you create, compact and repair databases, create and restructure tables, export database to SQL and run SQL scripts. We made three requests of the technical support personnel and despite the fact that these were all implementation questions (not bugs in their software) we received support within 24 hours. It is rare to get such good customer support these days and I really appreciate everything ComponentAce has done for us.